So, the courier came knocking at our gate a few days ago with a package from Everything Calligraphy. After carefully unwrapping the bubble-wrapped Chocnuts (priorities! 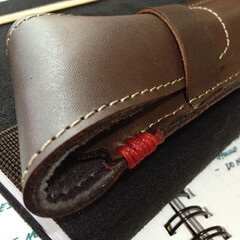 ), I opened this really hip-looking pen case. First impression…that looks pretty nice. Sniff sniff. Don’t you just love the smell of leather? I tried them on my Hobonichi cousin (slip it behind the hard cover of the planner) and a smaller Derwent sketchbook. Perfect. I like both of them, but I really like the one without the flap more because I like pen slips that lets me just take out the pen quickly and without fuss. 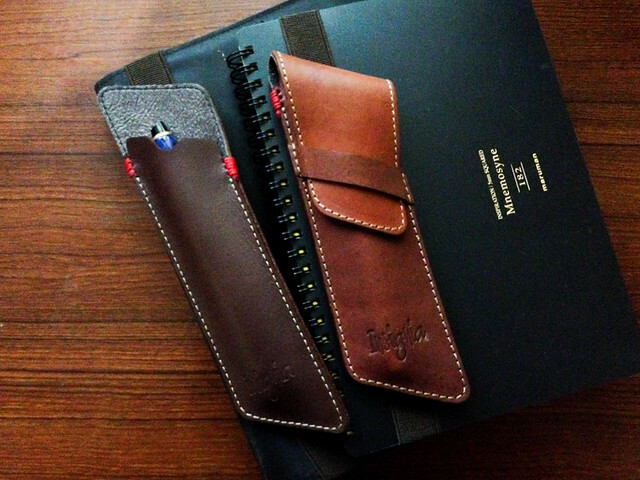 Both cases are a snug fit for either two slim pens or one medium-sized pen. Of course if you’re a fountain pen user, you probably would just use it for one pen because it doesn’t have compartments to keep the pens from jostling one another. The flap-less version is called Orwell. I’m not concerned with pens falling off while in it because the texture of the interior leather prevents it from slipping out, and the fit is quite snug. I tried it with a single pen (Lamy Studio and my thinnest, Cross Century II) and it felt quite secure. 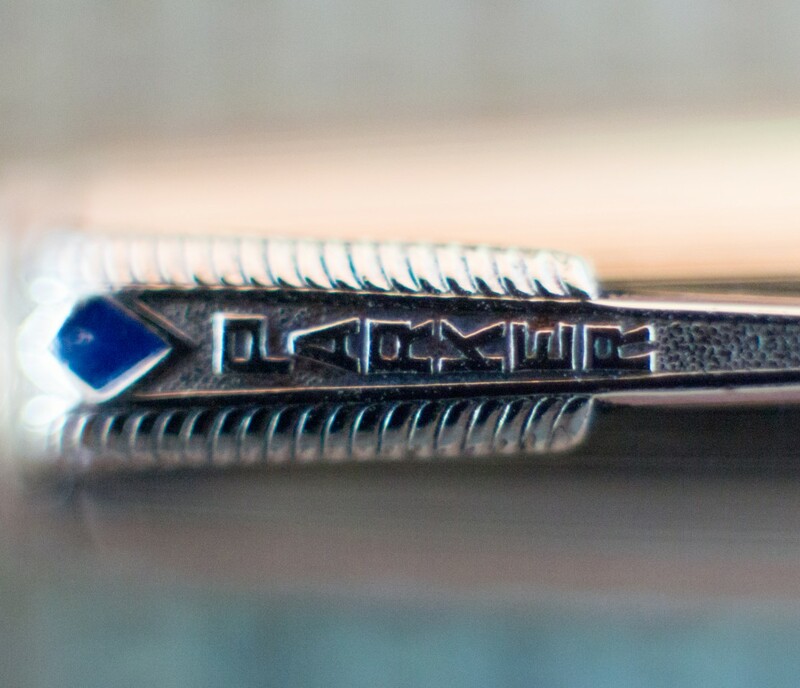 The model with the flap is called Faulkner, and it’s a little bit bulkier than the Orville because of the flap, but I guess some people would want more security for their pens. Especially if they don’t want anything to scratch the finials while the notebook is in their bag. It’s made of genuine cowhide on the outside and pig skin on the inside. 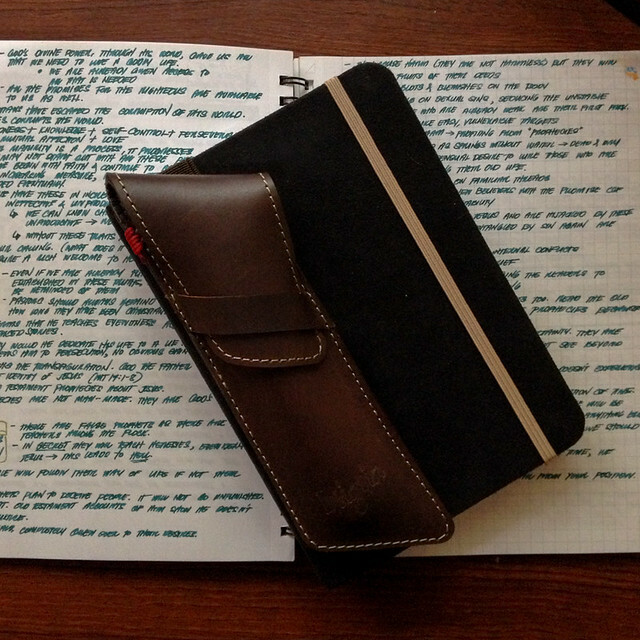 The interior of the pen cases feels softer and smoother than the leather outside. The elastic feels sturdy too. Here are a few photos of the details. I think these are pretty handy especially if you want a pen case to always be with your notebook/planner. I think it’s essential for the care of your pens that you always use cases. I personally always carry at least one big pen case and pen slips for one or two pens. 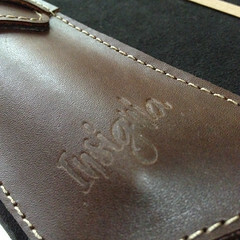 These Insignia Orville and Faulkner pen pouches are now available at Everything Calligraphy. DISCLAIMER: This is not a paid post. Read my About page for more information about this. Where. 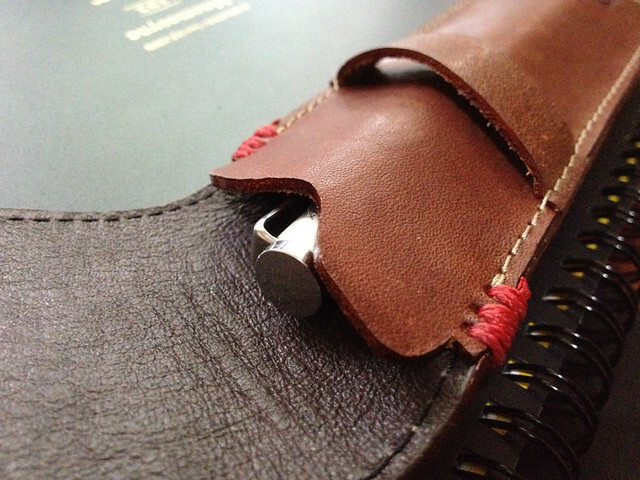 And how do I find out about the Alunsina pen case? Are they out of business? Thanks!! Thank You! Facebook not a very user friendly place for business, but I will try. 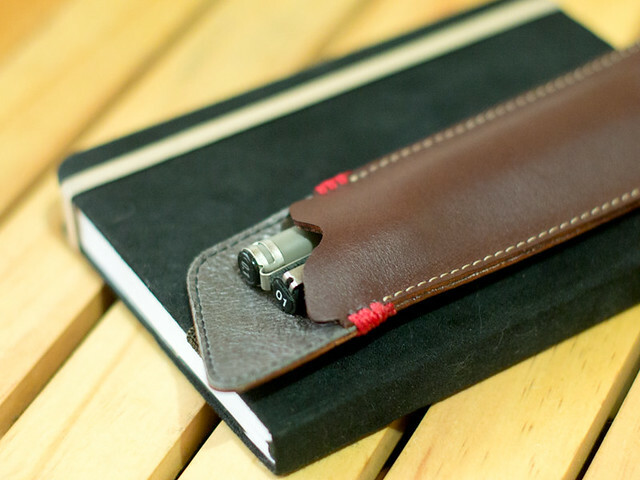 “bespoken” Alunsina pen case This design is almost what I need —How do I contact them?? ?